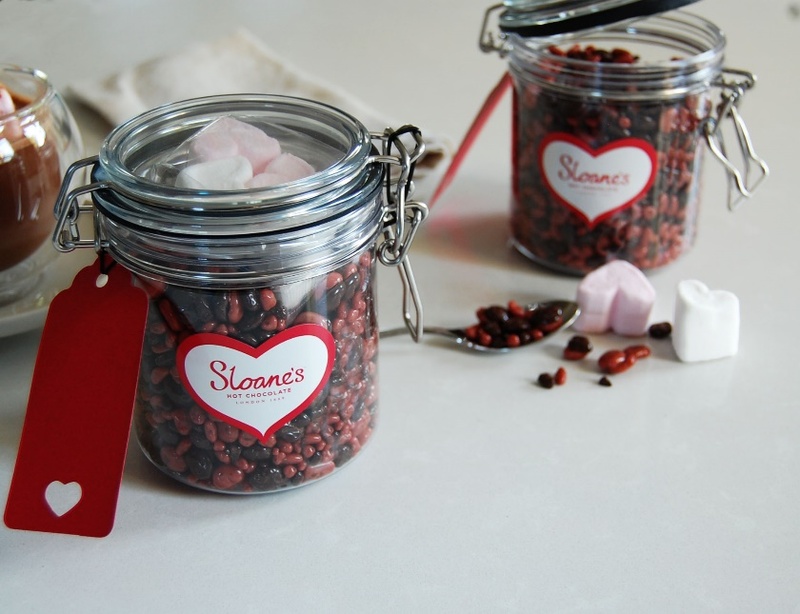 Valentine’s Day is just around the corner, and Sloane’s Hot Chocolate have a special Valentine’s treat for you! They’ve blended their signature Dark chocolate with fabulously fruity Ruby Chocolate to create this Valentine’s blend, which not only looks beautiful, but also tastes divine! Ruby delivers a completely new chocolate taste and colour experience, born from the ruby cocoa bean – intensely fruity with fresh, sour notes. Accompanied by 4 heart Marshmallows, this is the perfect Valentine’s gift for the Hot Chocolate lover in your life! 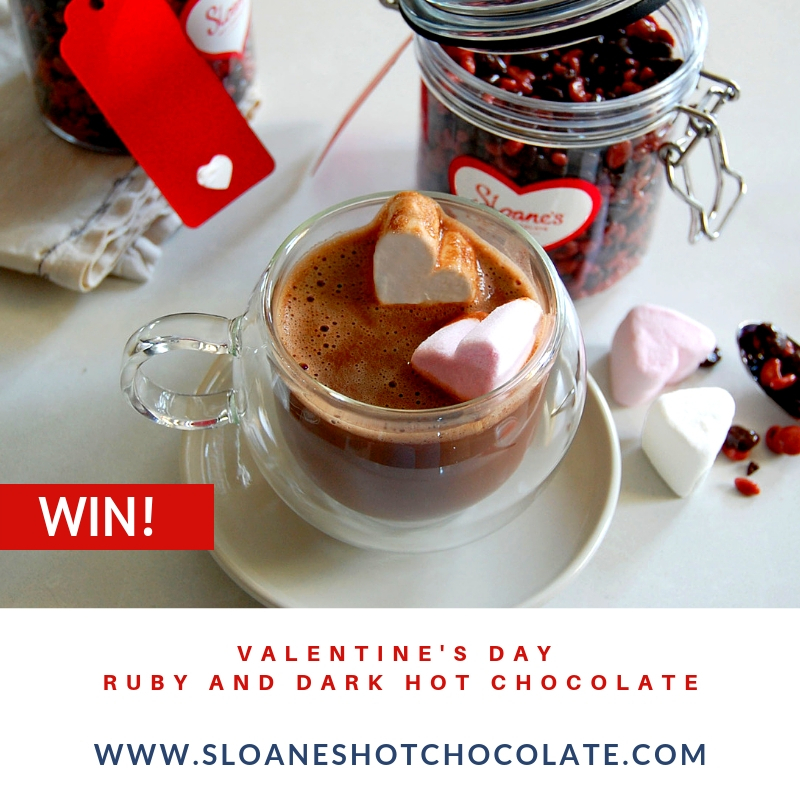 I am delighted that Sloane’s Hot Chocolate have given me TWO Ruby and Dark Hot Chocolate Gift Jars, to giveaway – one for facebook and one for instagram! The Facebook winner will be chosen at random from someone who likes mine & Sloane’s Hot Chocolate’s Facebook pages and answers the competition question on my Facebook page. You may only enter once on facebook. The instagram winner will be chosen at random from someone who follows me @SuzyPelta and @sloaneshotchocolate on instagram and who has answered the competition question there. There are no limits to the amount of times you can enter on instagram and each new answer counts as a new entry into the competition. However if you are not following @SuzyPelta AND @sloaneshotchocolate your answer will not count. – The competition starts at 9.25am on 8th February 2018. – The competition closes at 9pm on 14th February 2019. – The competition is only open to UK mainland entrants. – The winners can not transfer the prizes and there is no cash alternative. – The competition is in no way sponsored, endorsed or administered by, or associated with facebook or instagram. – The winners will be chosen at random and the decision is final. – The winners will be notified within the week after the competition ends. – The prizes must be claimed within a month after the winners’ announcement. After that time the prizes will be reallocated if unclaimed. – The prizes will be delivered by the end of March 2019.